See How Your Organization Stacks Up in 2018. 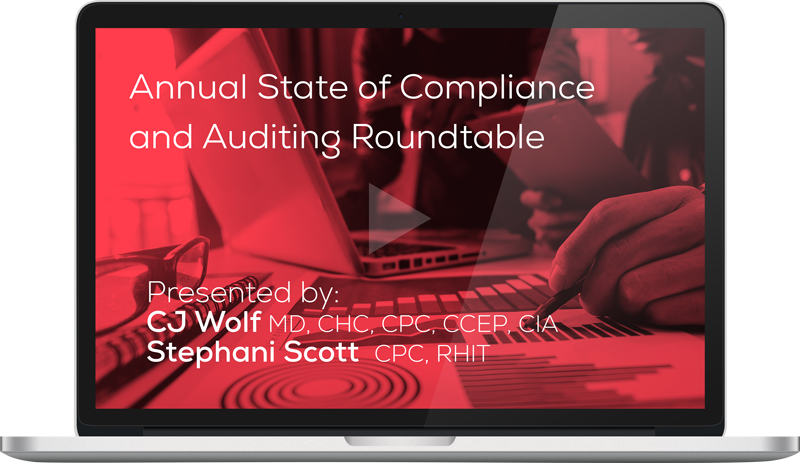 Did you know that only 78% of compliance programs conduct formal documentation and coding audits? Or that 62% of compliance professionals report being “very happy” in the field of healthcare compliance (an 11% increase from last year)? So, what do these numbers mean? And how do you stack up against the 1,000 plus healthcare professionals who took our Annual Compliance and Auditing Report? This program meets AAPC guidelines for 1.0 CEU. It can be split between Core A, CPCO, CDEO, and CPMA. On-Demand views require successful completion of post-test for continuing education units. You will receive your CEU in a separate email watching the on-demand recording.